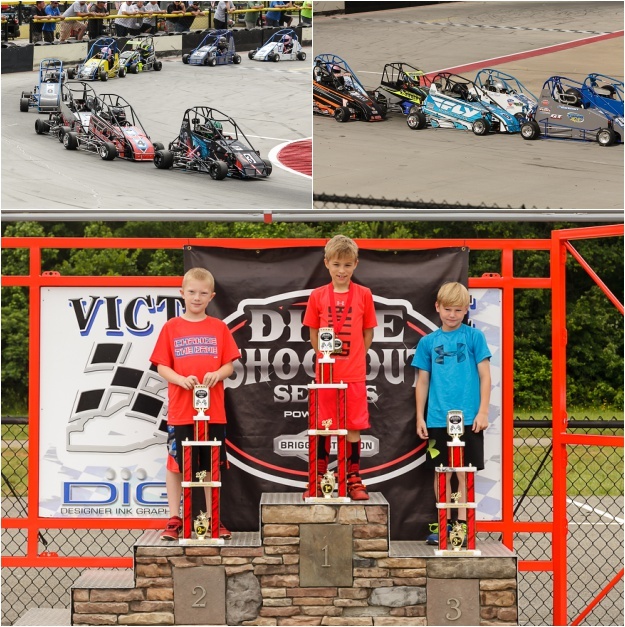 We hosted a "double header" Dixie Shootout regional race at our home track on Memorial Day weekend. 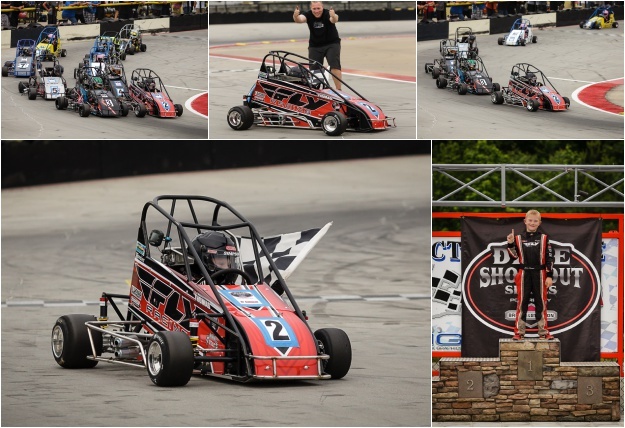 The race on Saturday, 5/28, was also a local race for our Championship Series. Due to rain on Sunday, we actually ended up racing on 5/28, 5/29 and 5/30. 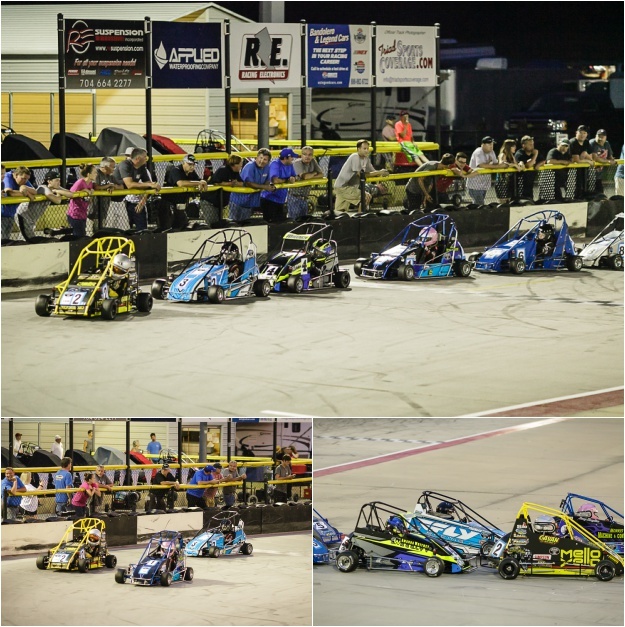 The qualifying on Saturday counted for both race #3 and #4. The fastest lap would determine the starting position for the first race and the 2nd fastest lap would determine the start for the 2nd race. Dillon qualified first in Jr Animal and 3rd in Jr Honda. Then he WON in Jr Animal! We are so proud of him! He finished 4th in the Jr Honda. He was fast and got up to second at one point. 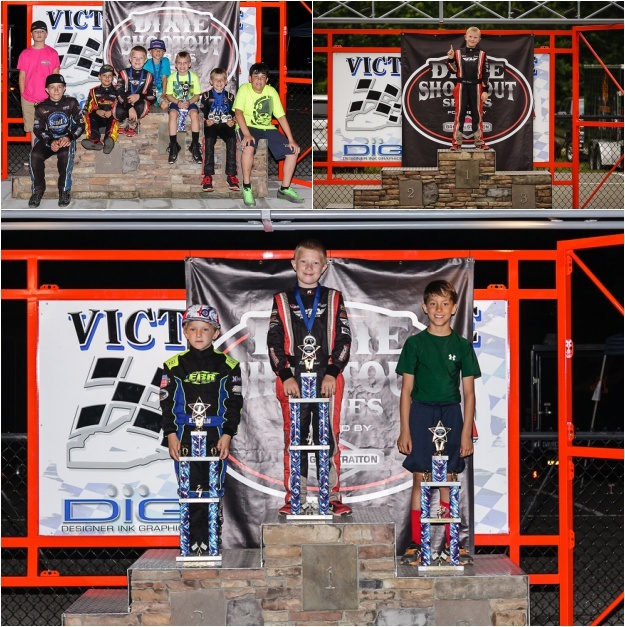 Dillon raced the Jr Animal on Sunday. He started 4th and was trying to pass for 3rd when he spun out and had to go to the back. He finished 5th. In Jr Honda, Dillon drove the race of his life! He started 6th, but 2 cars wrecked in front of him and he got caught up in that and ended up being sent to the back. Then he passed his way up through the WHOLE FIELD to finish 2nd. It was an awesome weekend and we were so, so PROUD of Dillon!